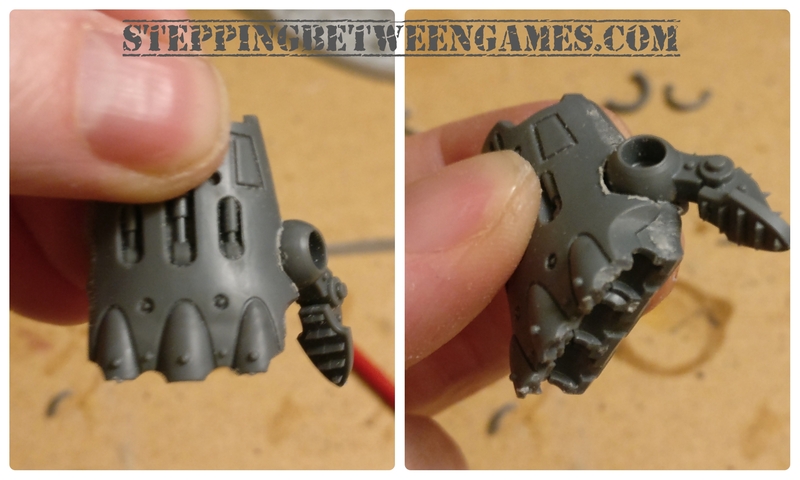 Dreadtober rolls on and I am building a Knight Gallant. Mainly due to the imagery of this machine barrelling through buildings and enemies, smashing them all aside. What better to crush my enemies than a Thunderstrike Gauntlet. The first edits we make are to remove everything from the sides of the Gauntlet. This makes the sides almost mirrored. Do make sure to use a sharp blade to do this, rather than a clippers. We will need these pieces later. Following this we need to move the thumb to the other side. 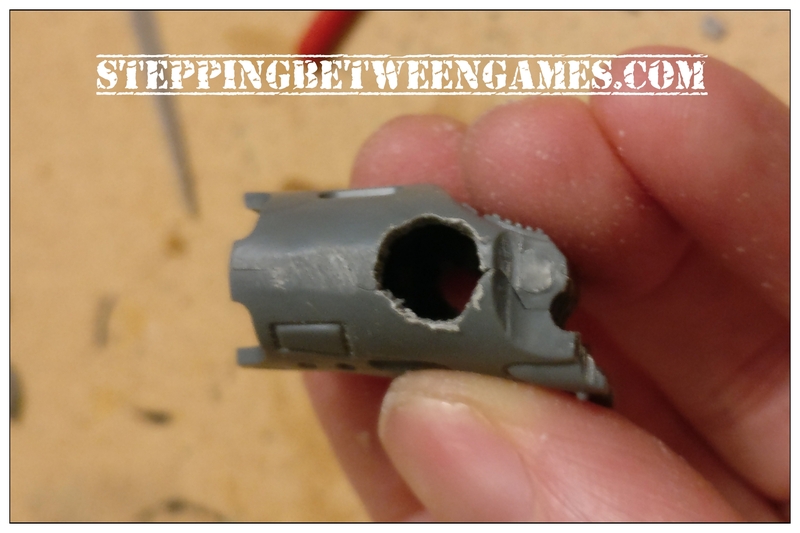 Start using a file to carve out to small semi circles, then pushing the halves together to check alignment. Make sure the hole you are creating is similar the original one. 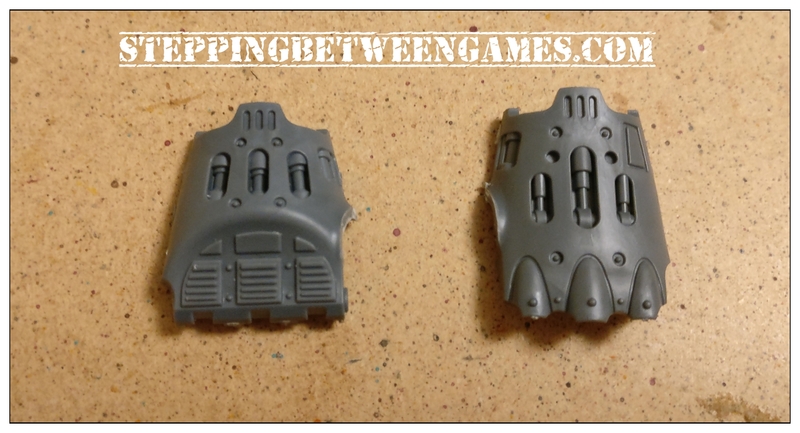 Repeat this process until you have a opening large enough for the thumb to fit in, without it falling through. It should be able to rotate around loosely at this point. 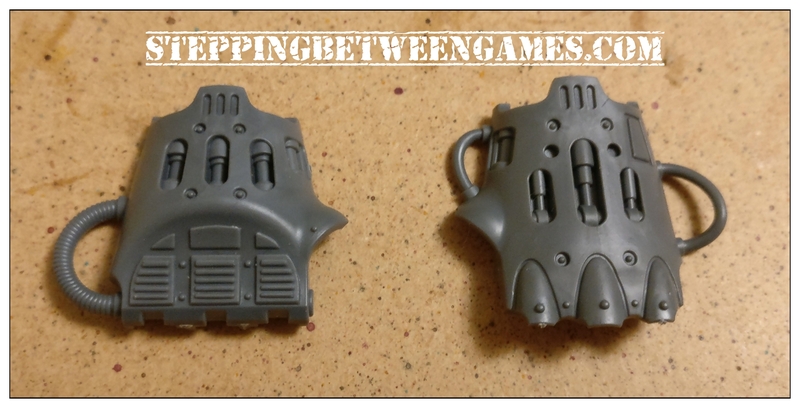 Now we start to make it actually look like a Thunderstrike Gauntlet again. Rolling a thing piece of green stuff (or your preferred equivalent), we create the raised hold around the thumb. 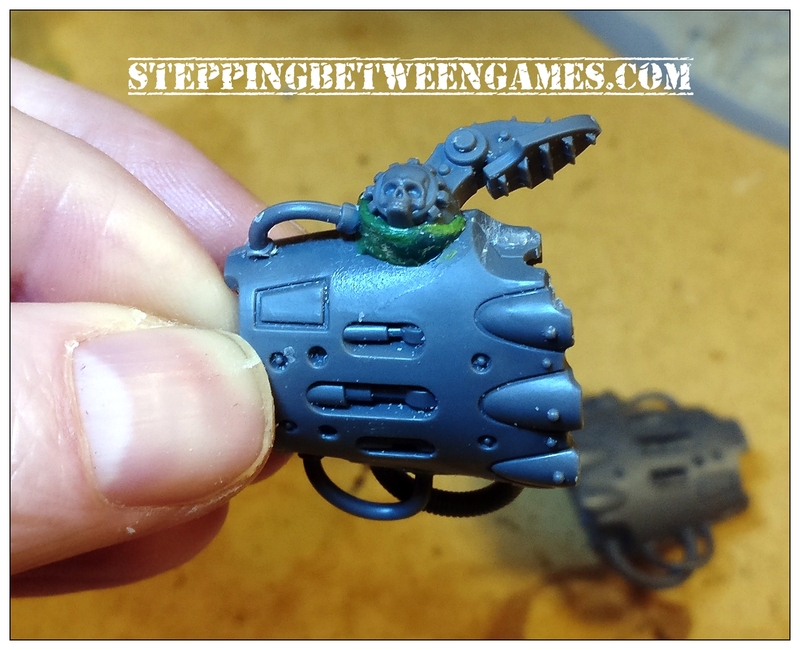 You have two options to cover the empty space in the thumb ball, I went with mechanicus skull from the Knight sprue. You could of course put in some green stuff and smooth it down. Next we fill on the gap left on the underside from the old thumb socket. 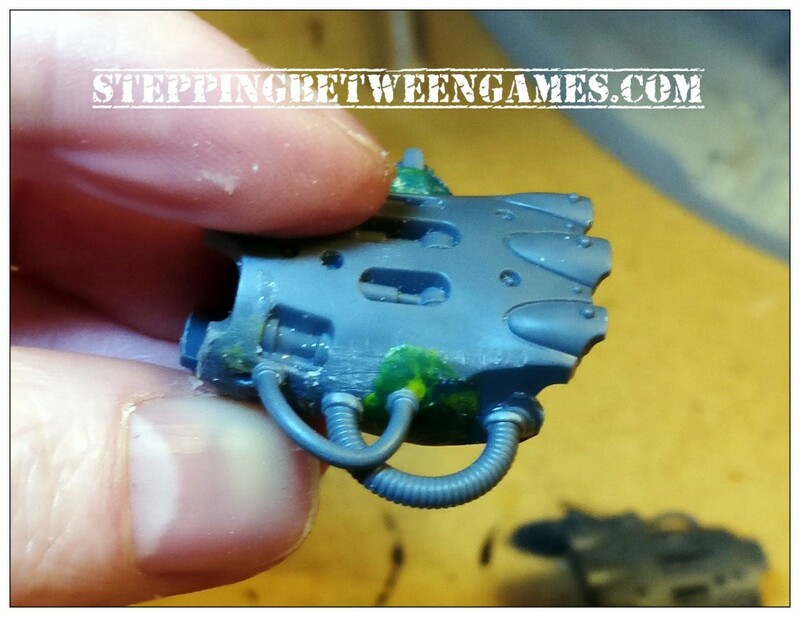 Once that is dry we can sand it down and re-attach our carefully cut wiring. 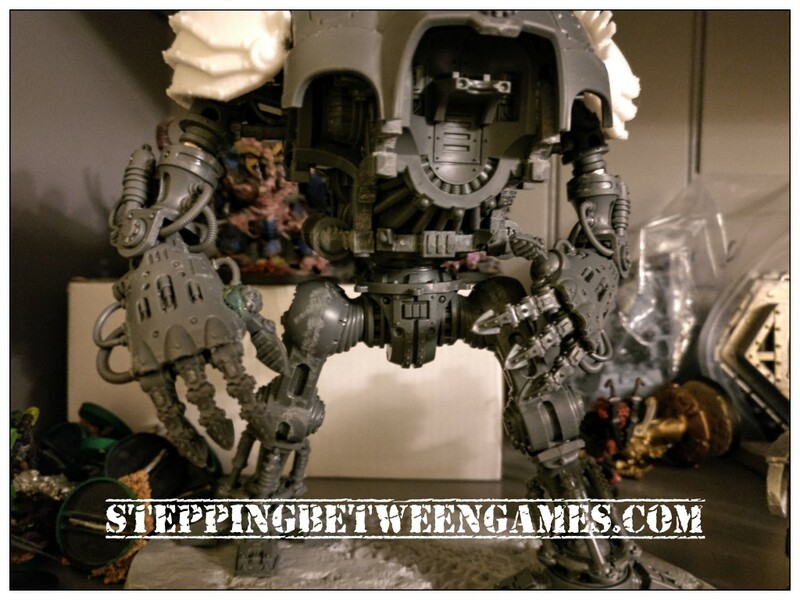 All that is left to attach it on to a half finished knight and pose for a picture. So what do folks think? Hopefully this tutorial will help some folks out. Please do let me know how you get on.